San Luis Obispo’s mild temperatures and ideal climate mean that an assortment of plants, trees and grass flourish in the San Luis Obispo area throughout the year. This also means, however, that weeds quickly spread throughout your home or business property, affecting the vigor and beauty of your garden beds and lawns. Weed control is time consuming and ongoing for most homeowners who could be spending their time doing something else. It is vital to choose a professional lawn & planter spray company that provides effective solutions to your unwanted lawn and bed growth in order to preserve the health and longevity of the attractive landscaping on your residential or commercial property. Our San Luis Obispo landscapers are pleased to offer comprehensive weed control services for your lawns and landscape gardens. We remove weeds and other unwanted plants while providing healthy nutrients for your existing grass, flowers and plants ensuring their vitality all year long. Dan’s Landscaping Company weed maintenance supplies combined weed removal from your lawn & planter beds and also thorough fertilization to supply your grass and landscape gardens with essential minerals and protection from weed invasion. 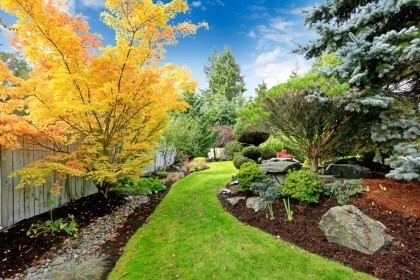 Dan’s Landscaping Company includes a comprehensive evaluation of your landscape to discover the existing types of growth and develop a safe removal and treatment strategy that reduces and eliminates future weed growth. We offer a wide array of targeted weed control services such as vegetation maintenance, right of way spraying, lawn weed control and planter bed control. 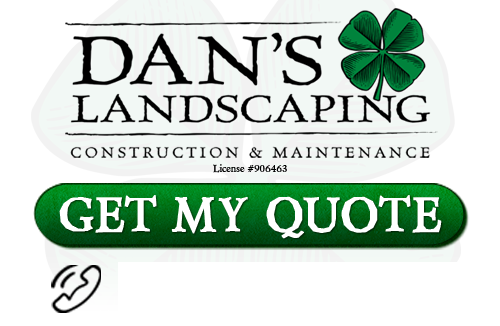 In addition, Dan’s Landscaping Company team of experienced professionals is licensed and accredited. We safely and effectively apply weed herbicides that attack weeds while protecting surrounding lawns and landscape gardens helping you enjoy an eco-friendly environment in your yard. One of the great benefits of choosing Dan’s Landscaping Company as your lawn care experts is that we can keep your lawn looking vibrant and full all year long. Once we complete construction of your landscape and create a product that meets your satisfaction we provide you with ongoing maintenance and beautification. This includes everything from landscape installation and mulching to lawn protection and Planter Bed Spray Applications in San Luis Obispo. We perform tests and keep close records so that we can get to know your yard better with each passing season. We can make recommendations on how to enrich your soil in order to create optimal environments for plant growth. We can also offer you professional advice on which types of plants grow best during any of the four seasons. And with our entire line of sprays and treatments we can protect your yard from disease, pests, and weeds before they ever take over. Dan’s Landscaping Company is Central Coast’s premier landscaping contractor. We provide exceptional products & services at affordable rates. Our entire certified team works closely with our clients to insure that you are satisfied every time. We only use industry leading vegetation and products that are durable, eco-safe, and create the landscape design that you will come to expect! If you are looking for professional Planter Bed Spray Applications in San Luis Obispo then contact Dan’s Landscaping Company at 805-550-5488 or complete our online request form.